Click on the Reserve Now button under the package you are interested in to make you reservation today! Includes 2 all day passes to Tom Foolerys Adventure Park. Book 4 Consecutive nights between Sunday and Thursday to save 25% off of your stay. Club Yogi™ Rewards! 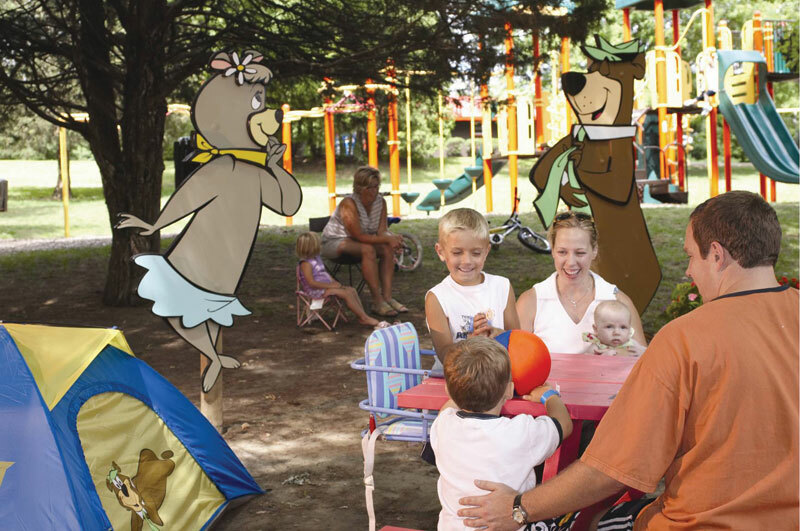 A new and free program for Jellystone Park™ guests. 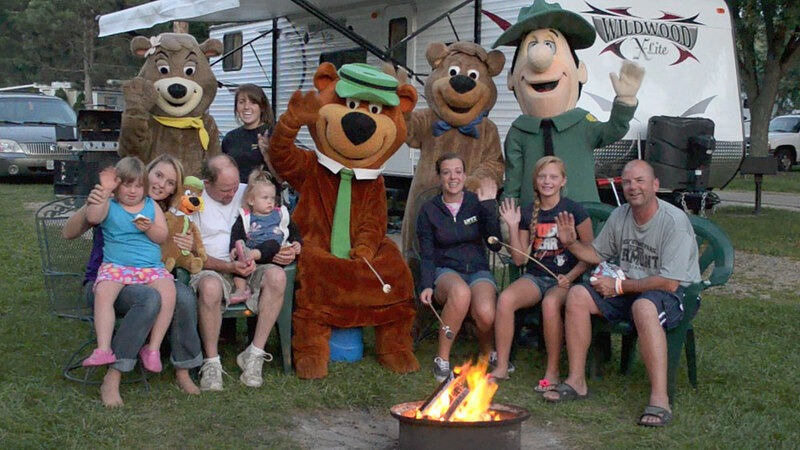 Join Club Yogi Rewards and you will earn club points for every qualified dollar spent at any of the 70+ Jellystone Park locations. 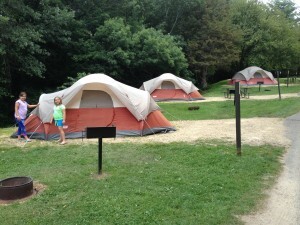 Club points are good towards FREE campsites and cabin rentals. 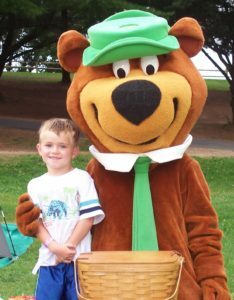 Plus, members enjoy other benefits like discounts on Yogi Bear™ licensed merchandise, birthday gifts for the kids, and a members only website packed with valuable program information and interactive activities. Birthdays, Anniversaries, Christmas… Gift Cards are available at the office, online or by calling 1-800-462-9644. They are available in any increment…from $25-$1000! Start your morning off in bear-rific style!!!! YOGI BEAR™ will come to your campsite or rental unit to wake you up! Campers will receive a bowl of cereal and milk. Yogi Bear™ will arrive at 8:00, 8:15, 8:30 or 8:45 a.m. daily. Please Reserve your space early with 2 hour notice. Bears will arrive at 10:30am, 10:45am, 4:30pm or 4:45pm daily. YOGI BEAR™ Visits Bringing a Signed Card and a Birthday Hat! 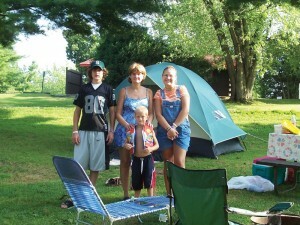 Inquire at the Gate House, or ask the Recreation Staff to Reserve a Party Time And Location. Please Allow 2 Hours Advance Notice Prior to Time of Party. The cost is $2,995 for the season. Our 2019 season will be 5/10-9/15. 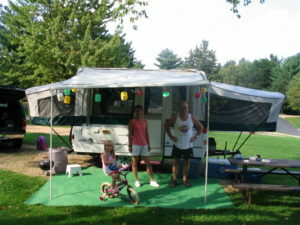 The campsite has water, 50 amp electric and sewer hookup (at the site, not honey wagon) for up to six persons, one camping unit and two vehicles. We have WIFI on the property. We do not have cable TV hookup. In addition, a onetime security deposit of $250 is required to be paid upon check in and will not be refunded if late charges or destruction of property upon departure. 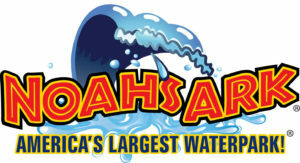 By the way, this great rate amounts to less than $25 per day which amounts to about an $1/per hour of outstanding family fun! Limited availability-Book today to lock in for 2019.